With everybody living in tiny apartment buildings, people have resolved to find new ways to which they can make their living space appear larger. Mirrors in interior design can be used in various ways. However, the most striking use of the mirror can be linked to the use of the mirrors reflective ability to make a room look larger. The optical illusion plays an essential role in enlarging the small living space and turning it into an ample space. Below are ways in which the full-length mirrors can be used to make the small home spacious. The frameless full length mirrors as described by their word are not framed. They are mirror cuttings which are pinned on the wall. This type of mirrors is mostly used in gyms to enhance the performance of the gymnast. In-home gyms the full-length mirrors offer constant feedback on how the athlete is doing. this is highly advantageous because there is no instructor to guide the athlete. Therefore, the athlete depends on the reflection of the eye level and the ground level for a proper review of his posture and body movement. The frameless mirrors also make the gym space feel bigger which creates an imaginable breathing space for the athlete. As you know small spaces are not the best spaces for training because they make the person feel the room is congested and therefore lacks movement allowance. Frameless full length mirrors can also be used in the living space. The tall and unframed posture helps create a feeling of continuity to the room because it lacks a separating factor. They are supposed to be used behind seats or any other furniture space to open up the whole area and create continuity in the room. For a much better appearance try and grouping the mirrors. This allows one to have a full viewing of the space you want to make bigger. This can be described as the floor to wall mirrors. As described, they occupy the whole wall living spaces only for the framing wood. These mirrors can instantly renovate your living space and give it an instant polish to the interior décor at a low cost. They are advantageous because the light up the corners, create drama and enhance elegance in the space. However, you should use the minimalist style of interior design to furnish your house. This is because to create an illusion of space you will need to have a neat, classy and simple living room space that you can use the spaces in between the furniture for continuity in the mirror. You can frame them correctly and make them stand out as work of art. This style is beautiful to the eyes and can make the living room space stand out. 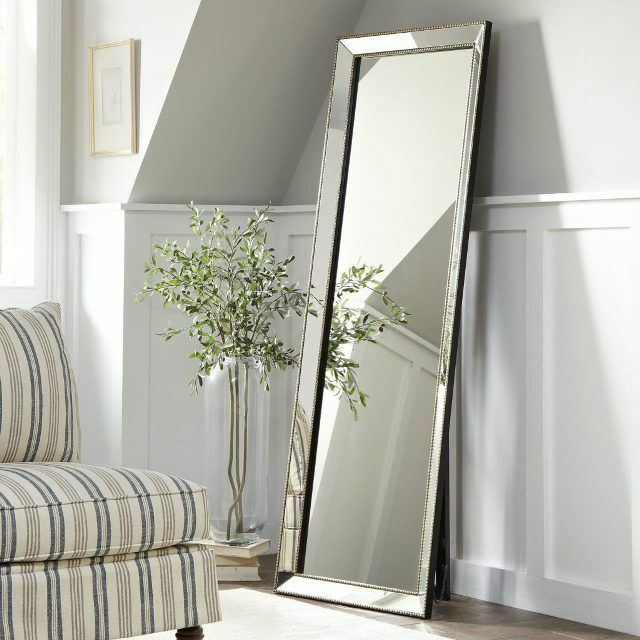 This is the more affordable version of the full length wall mirror. They are as elegant as the latter but only come already fitted to a frame and can be easily movable around the house. They can be easily placed behind a grouping of furniture or just out on their own. 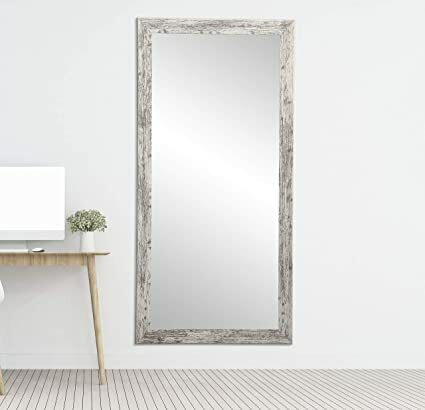 However, keep in mind that cheap mirrors can warp images and distort images; that are why you should be willing to purchase expensive mirrors. This is full-length mirrors fitted with lights around it. 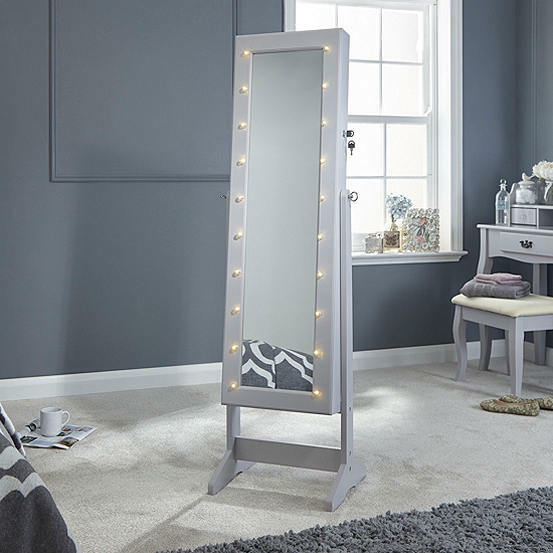 The full length wall mirrors lights add a new dimension to the living space and create a unique ambiance. They are mainly used in bathrooms where people require viewing themselves on a large scale. The ones fitted with lights are generally installed to compensate a poorly lit space also when neatly framed the full-length wall mirror can be used to enlarge a small bathroom space virtually. 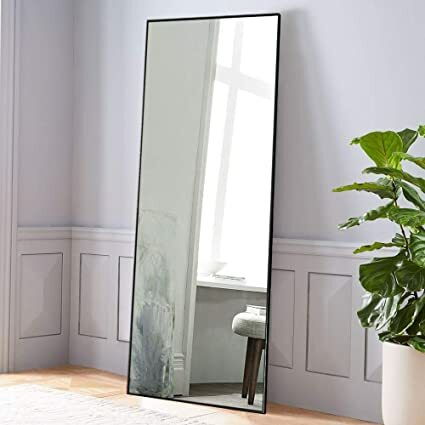 This can be described to wall mirrors.As a versatile and simple interior decorative meant to improve the appearance of a particular space the place where we are to locate the floor mirrors will determine how aesthetically it will improve the theme of the décor in the house. Their positioning should be strategic to only allow for the exhibition of their full qualities without creating reflection which is not as flattering when compared to the original work. These mirrors create an illusion of space by reflecting light from objects in the room. Also on their placement, please ensure that they can be good cover-ups of destroyed walls. You will have an end product that is stylish and has covered the damaged part. The affordability of the full-length mirrors makes them one of the cheapest most stylish décor improvers. therefore, they make it very easy to get one and try to see how it can make your home bigger. The light reflection bounced off from the floor mirrors can light up the party. Therefore, with proper placement of the floor mirrors can light poorly lit corners in a household. The best way to settle the scores with the full-length mirror is to install a set of full-length mirror bypass door. Bypass doors are initially standard doors leading to different parts of the room. Therefore, when installing take note of where you would want to place the door. The door Is supposed to be pointing to either a closet or an in-house store. It should, however, be replaced with a door that is highly frequented doors because the glass Is highly fragile. With a constant sliding door, the full-length mirror bypass door maybe is at risk of breaking especially if the door is used frequently. The full-length mirror bypass door makes a small space look larger because instead of showing a door the mirrors switch up and reflect showing the opposite side like the continuity of the room. This design not only creates an illusion of space but also adds classic detail to the interior making it more lavish. 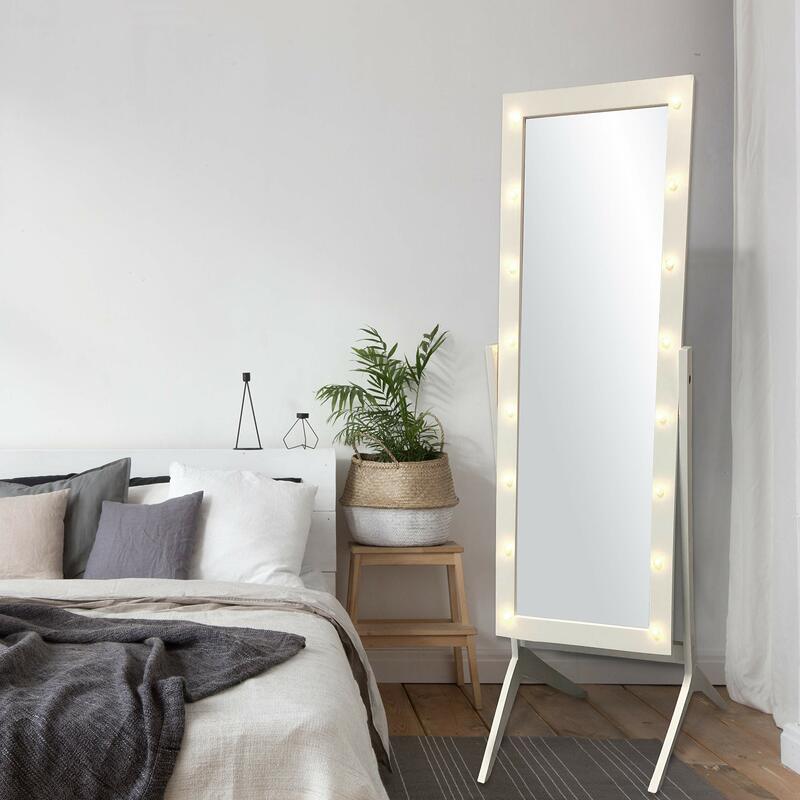 Therefore, you should try out full-length mirrors to give your small space a more substantial space feel and also to help improve the interior décor.